Dead Space is free on Origin. Also, if you subscribe to the event "Make War Not Love" from SEGA, you'll receive steam licences for Revenge of Shinobi and Streets of Rage (both are Genesis/Megadrive emulated games). About those SNK emulated games... unpack them, copy the ROM files and put it into MAME. I don't even get a option to select the Linux port. Nor is it even listed anywhere in the GOG store. The native Linux port of UT99 is rather bad to begin with, depends on OSS /dev/dsp for sound, uses really ancient libraries, uses a old libmikmod that has a very annoying plate reverb effect that you CANNOT turn off overlayed on the already inaccurate music. Dungeons 2 is free at https://www.gog.com/ for the next 31 hours. Is the first game on PC at all? I can't seem to find it on Steam. Nope, never did a PC version of The Darkness 1. Spec ops: The Line is free on Humble Bundle for the next 44 hours, "while supplies last". MoleZ is an insanely fun (and violent and gory!) 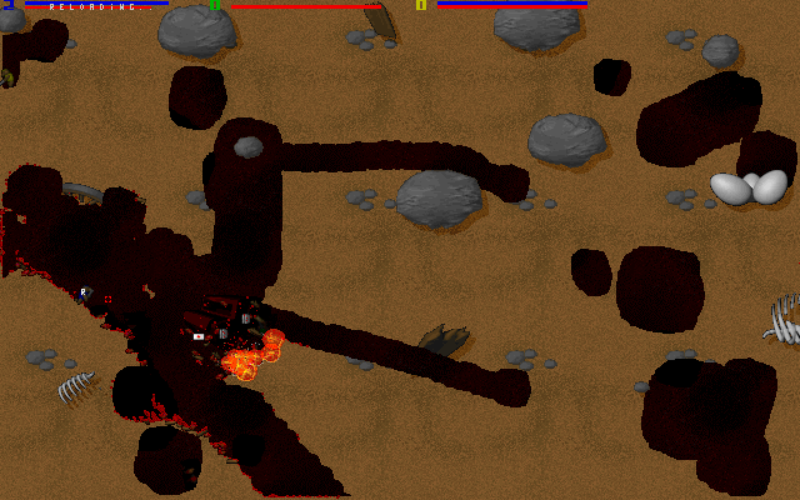 multiplayer game for DOS wherein a bunch of moles are thrown inside a cave-like arena and must fight to the death using various types of projectile weaponry. Up to three players can play on a single keyboard (+1 using joystick/gamepad). The game was originally conceived as a means of testing VESA/SVGA graphics modes and so does require a reasonably fast 486 or Pentium-class system (as well as a keyboard that can handle multiple simultaneous keypresses). It features a haunting soundtrack and respectably beefy sound effects for those with SoundBlaster-compatibles.